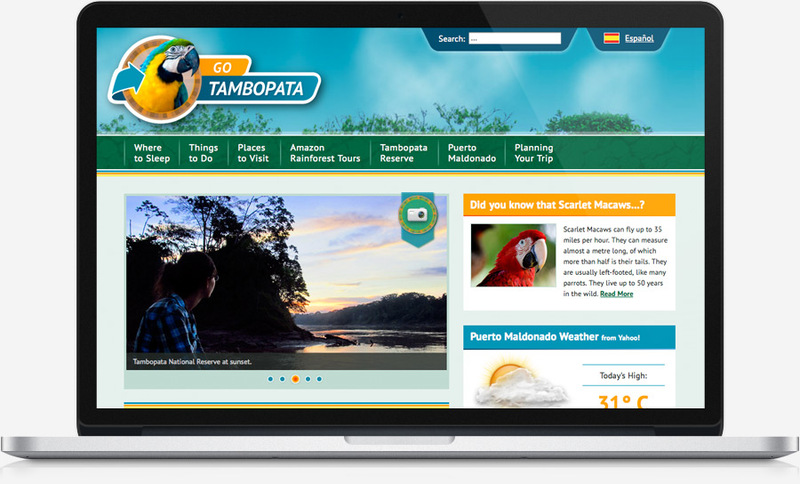 Go Tambopata is a travel guide website for people wishing to visit the Tambopata National Reserve in Peru and the surrounding area. 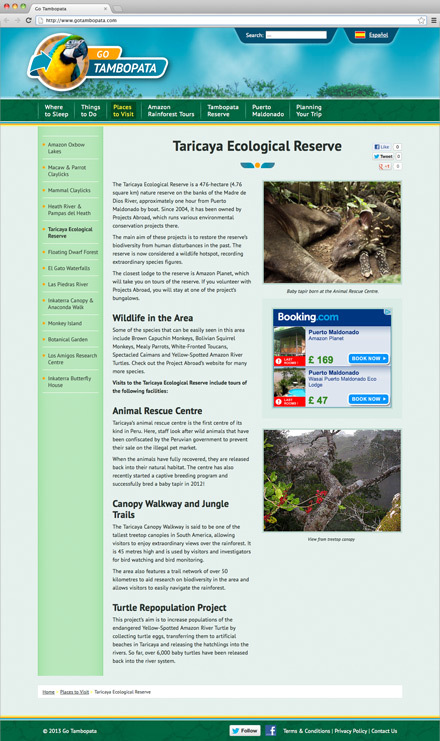 Thousands of tourists visit the area every year but there is no centrally managed tourist information website. 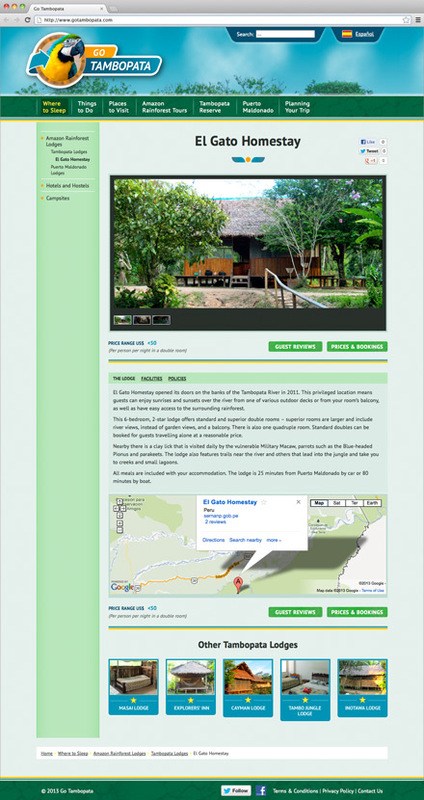 Go Tambopata aims to fill the gap in the market by providing information on where to stay, things to do, and practical guidance, including maps and flight information, in a clearly labelled way. Designed to accommodate English and Spanish content and allow easy switching between the two languages. 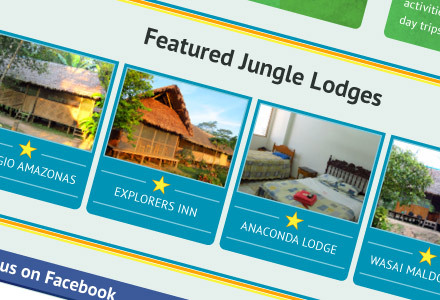 Built from scratch using the latest version of WordPress. Drawn By Day Studio responsible for all design and branding elements, and assisting with the creation of the site map and template wireframes. The site is created in such a way that it’s easy for the client to manage all content, including images, SEO and advertising. 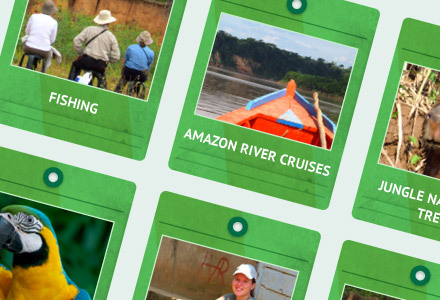 The first phase of the Go Tambopata website is due to launch this summer. The content is being introduced in stages, because there is a LOT of it, and it all has to be translated!